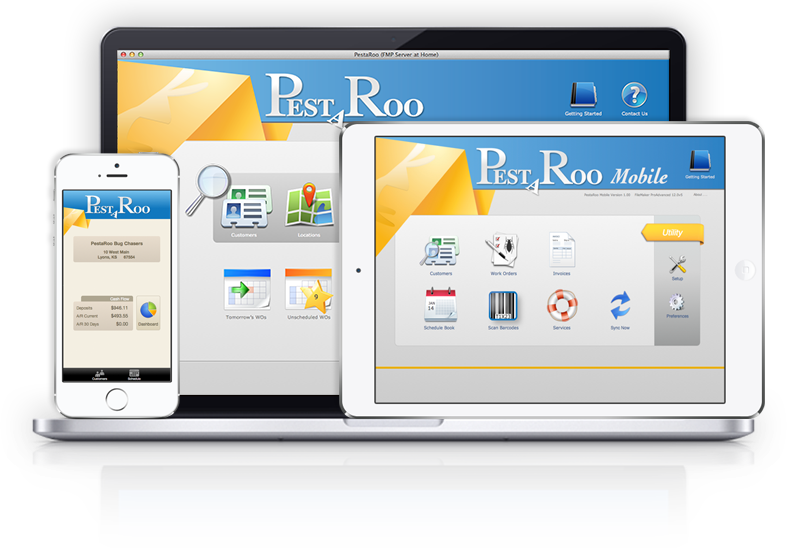 The most powerful and intuitive software for Pest Control companies. PestaRoo is built to provide you with all of the tools you need to run your business. It provides all of the necessities and gets out of the way so you can do what you do best: provide awesome pest control services to your customers. Whether you have a single technician or a hundred+, PestaRoo can manage all of your scheduling, invoicing, work orders, reporting, and payment processing needs. Easily schedule inspections, installations, and sales calls through PestaRoo’s advanced and easy to use scheduling system. PestaRoo’s full suite of reporting tools makes it easy to analyze your business and quickly access your sales, jobs, and other valuable statistics. Creating work orders fast and efficiently helps you take care of your customers and your technicians. PestaRoo takes the work out of creating work orders. With built-in credit card processing, PestaRoo makes it easy to collect customer payments. Stop running to the bank every day and instead process payments quickly from your dashboard. PestaRoo includes full data import and export tools so you can easily migrate your existing data into PestaRoo. We also do not lock you in and let you easily export your data for external backups or migrations. Automatically create work orders and invoices on schedules. PreScheds support all schedule periods, including every month, every 3 months, every 12 months, and even every X weeks. Generate invoices quickly and easily for past, present, and even future work orders. Invoices are easily sent to customers for payment. With PreScheds, invoices can even be generated and sent on a repeating schedule. Your data is of the utmost importance and PestaRoo will always keep your data safe. With routine backups and frequent updates, you can rest assured that your business is safe with PestaRoo. PestaRoo is an amazing company! The support PestaRoo provides is amazing, no matter how simple the question they don’t mind helping. Loving It! We found PestaRoo after we tried two other systems and being frustrated with those two. They made the transition from the old one to PestaRoo so easy.